CGV 4DX, the cinematic experience for all five senses, accelerated its business expansion with a series of new deals at CinemaCon 2016. The company signed contracts to open its first 4DX theaters in Canada and Kuwait, as well as more theaters in China. CGV 4DX is to open the first 4DX theater in Canada under a new contract with Canada’s largest movie theater operator, Cineplex. 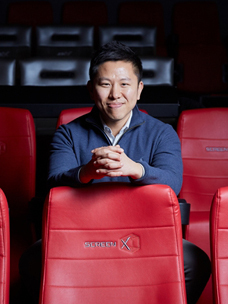 CJ 4DPLEX (CEO Choi Byung-hwan), an affiliate of CJ CGV, signed an agreement on April 12 at CinemaCon in Las Vegas, US, with Cineplex, Canada’s largest movie theater operator, to open its 4DX theater within a year. This is its first contract in Canada, which is set to become a second foothold for CJ 4DPLEX as it expands its business in the North American market following its agreement with the US. Cineplex is the largest multiplex franchise in Canada, where it operates 163 theaters with 1,666 screens. Cineplex also operates various special screens, including UltraAVX which focuses on heightening audience immersion in movies, and VIP CINEMAS similar to CGV’s Gold Class. Under the contract, Cineplex will bring 4DX to the ‘Yonge-Dundas and VIP’ movie theater in Toronto, which has 23 screens including special screens such as IMAX, VIP and UltraAVX. Yonge-Dundas and VIP is a flagship theater for Cineplex, and it is comfortably one of the top five theaters in terms of ticket sales in Canada. The deal is particularly significant not only because this is the first 4DX theater in Canada, but because Cineplex has forged a new partnership with CJ 4DPLEX despite already running a similar type of theater, D-Box. Like Cineplex, D-Box is headquartered in Canada, and both companies have enjoyed a long relationship. In this regard, Cineplex’s new deal with CJ 4DPLEX shows that the company recognizes the superior 4DX technology. Following the contract with Canada, CJ 4DPLEX signed a deal with the state-owned Kuwait National Cinema Company (KNCC) on April 12, to open its first two 4DX theaters in Kuwait in the first half of 2016. KNCC operates 11 theaters with 54 screens under the Cinescape brand, making it a successful national cinema chain. For CJ 4DPLEX, the agreement is considered a significant achievement as it allows entry to the Kuwait market for the first time, while expectations have been raised regarding its business expansion across the Middle East. 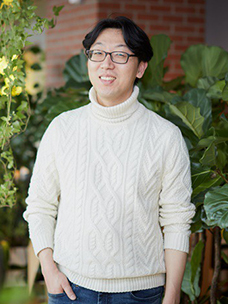 A new contract has also been signed with a Chinese company. CJ 4DPLEX agreed a memorandum of understanding (MOU) with Shanghai Film Corporation (SFC) to launch more than twenty 4DX theaters within three years, five of which are expected to open this year in major cities including Shanghai, expanding SFC’s existing presence. With the largest number of 4DX theaters, China is the biggest market for CJ 4DPLEX among 37 countries. 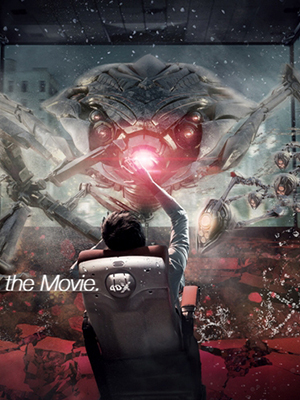 Seven of the top 11 cinema operators operate 4DX theaters. The MOU with SFC is expected to play a major role in expanding the number of 4DX theaters in China. These deals mean that CJ 4DPLEX is making great strides towards its goal of expanding to over 400 4DX theaters by the end of this year.